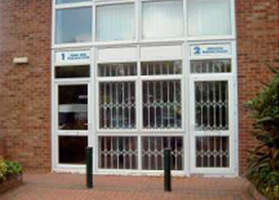 Excel can also supply and install the Crossguard CX2 security grille for both Domestic and Commercial applications. The CX2 is the most comprehensive security grille on the market, a high security expanding gate made from stylish lattice work which provides a strong visual deterrent and protective barrier. It offers optimum visibility and ventilation, and when not in use it retracts to a fraction of the overall width. 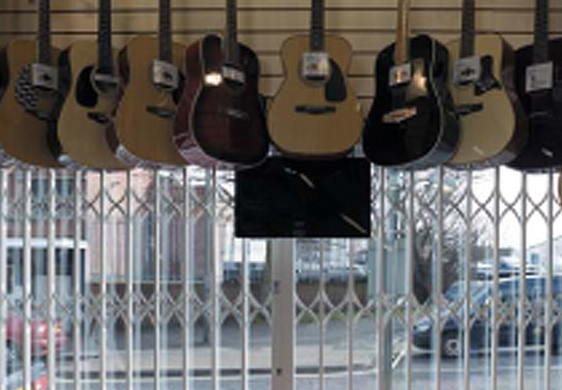 It is therefore an ideal solution for shops with products on show and patio doors, as well as other retail and domestic applications. The CX2 is not only attack tested and insurance approved with police preferred recognition through the 'Secured by Design' initiative, it encompasses all you would want from a grille without compromise and at an affordable price. • Available in 4 different finishes and a number of colours to compliment your home.